Deborah practices exclusively in the area of family law. She has consistently demonstrated she is detailed, focused, and goal-oriented in her practice of law as well as a zealous advocate for clients. Her goal is to encourage communication between parties and counsel out-of-court, yet is prepared to litigate matters if needed. Deborah has worked with children and adults in various settings and understands the emotionally and financially complex issues that arise in family law matters. 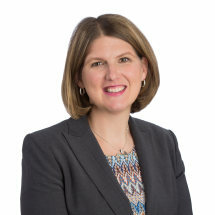 Prior to joining Honsa Rodd Landry, Deborah served more than 3 years as a law clerk for two Judges serving a family court position in Hennepin County District Court.